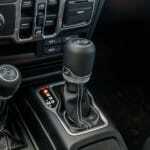 The all new “JL’ Jeep Wrangler is without a doubt my most anticipated test of the year. 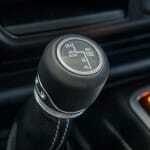 The first few times I ever found myself behind the wheel of the previous “JK” model, I couldn’t wait to get out of it and into something more refined. However, I have always had a soft spot for the Wrangler’s undeniable charisma, and recent circumstances have had me modifying and driving a 2012 model quite extensively. 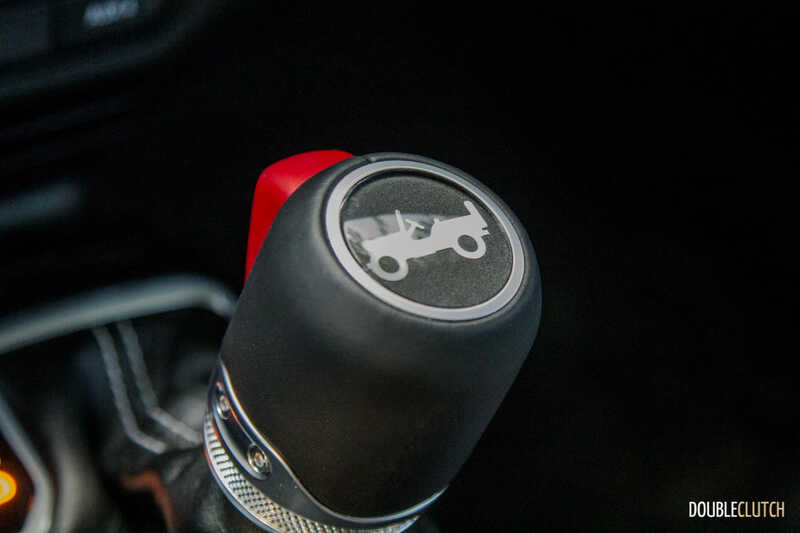 More important is the Jeep community; the JK has connected me to Jeep enthusiasts all over the world, and as someone who is involved in all sorts of automotive communities, I can tell you that there is no group as dedicated, welcoming and enthusiastic as the Jeep community. When you’re around people like that, their enthusiasm is contagious. 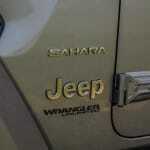 The 2018 Jeep Wrangler Unlimited Sahara is still likely the most recognizable automotive icon of our time. Of course, the original Wrangler design dates back to WWII, and has gone through many evolutions over the years, always retaining its iconic design cues and rugged off-road capabilities. 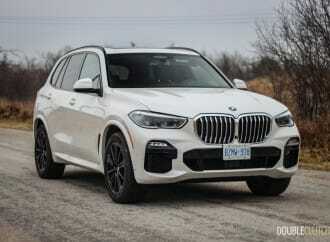 I do think that the designers nailed it with this latest design; it’s truly a natural evolution of the classic design, just modern enough and not too over-the-top. 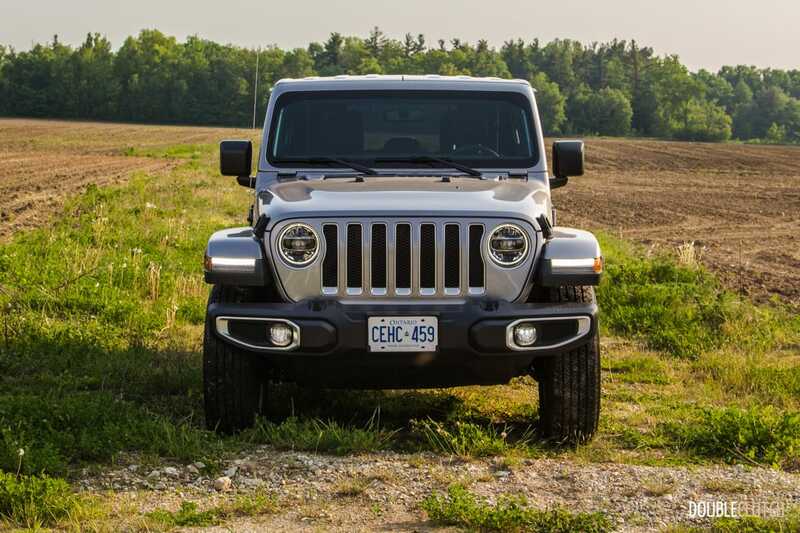 The most notable exterior changes include a slightly raked take on the traditional 7-slot grille and a complimentary rake on the windshield angle, both of which aim to improve the Wrangler’s brick-like aerodynamics. 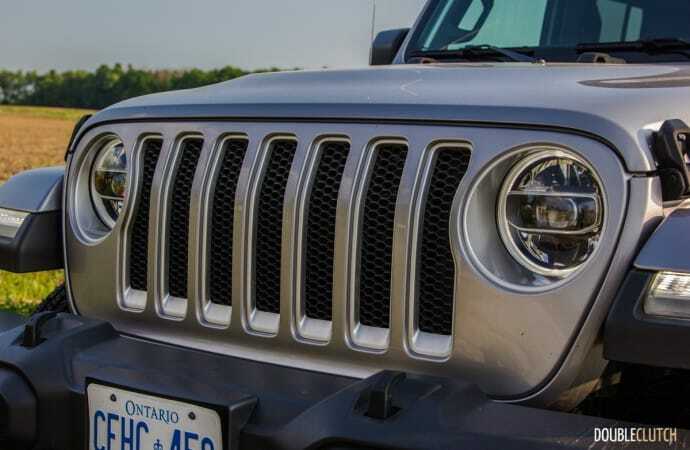 The turn signals and LED daytime running lights have been moved into the fender flares, which is probably the only change I am not on board with. 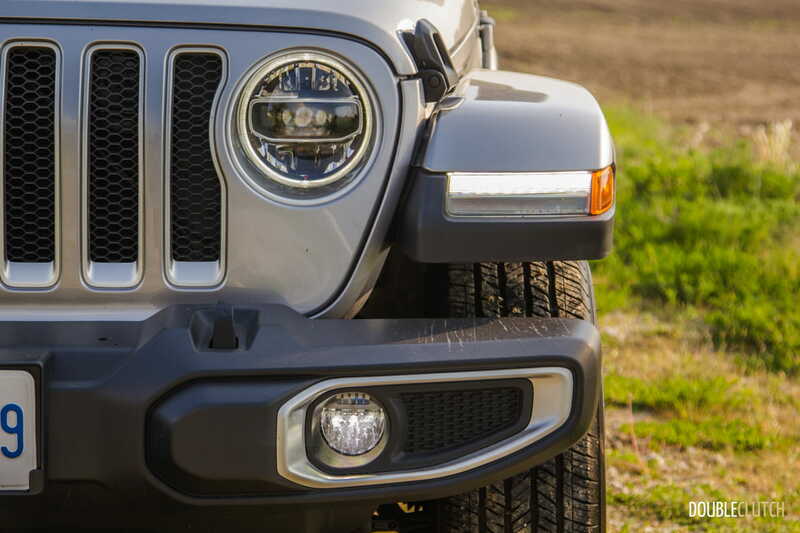 LED headlamps are now available as well, and if equipped the LED halos also serve as daytime runners. The windshield frame has been re-thought and now folds flat with a lot less disassembly. My favorite update is the fully exposed body-colored roll bar structure that now looks more integrated. 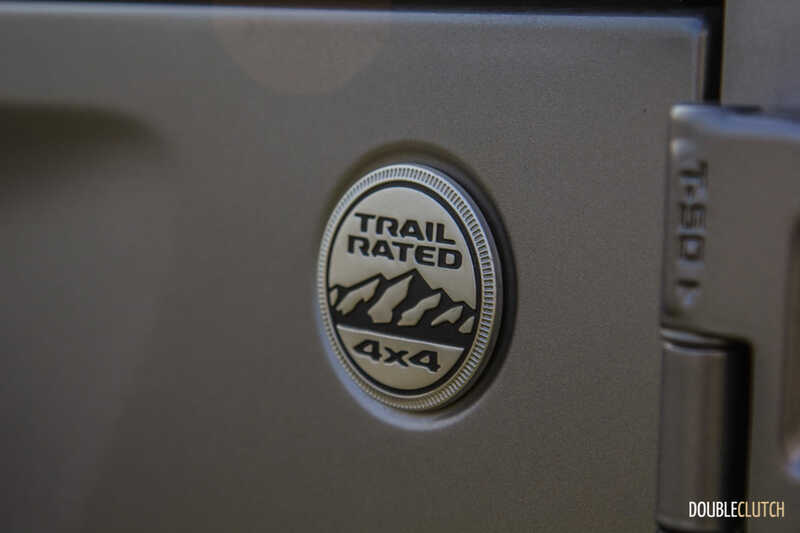 Each trim level from the basic Sport up to the top-line Rubicon gets a unique look; our well optioned Sahara tester gets body-colored fender flares and silver accenting on the front fascia along with 18” polished aluminum wheels. The interior is where even bigger improvements have been made, particularly the dashboard which has been completely re-done for the better. 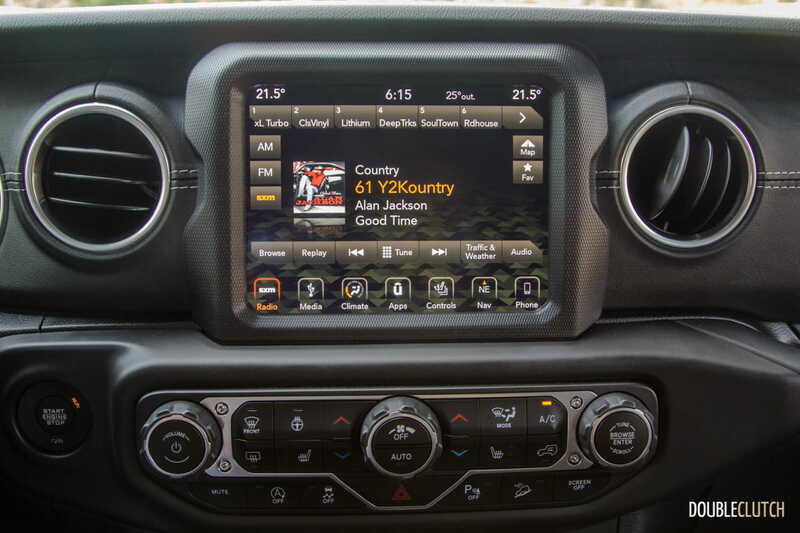 The Wrangler has been brought up to date with push-button start (and a waterproof button at that) and the latest infotainment tech; our tester came with the larger 8.4” UConnect touchscreen with Android Auto, Apple CarPlay and navigation. 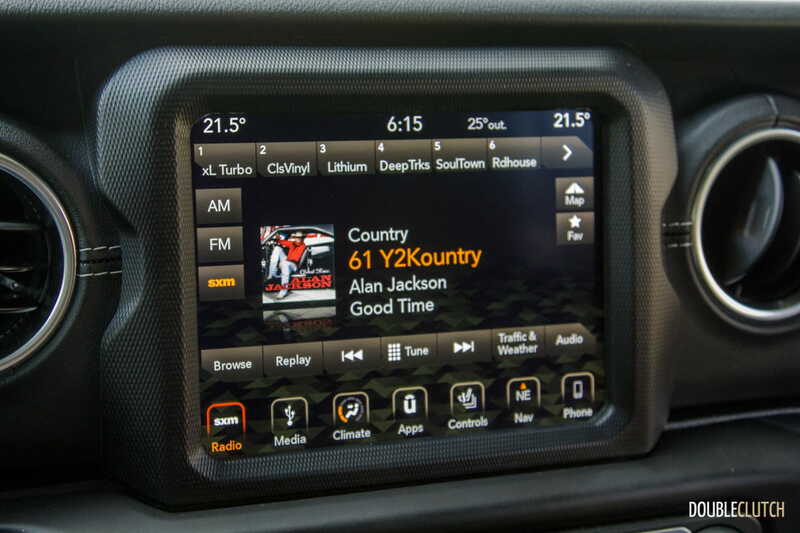 Of note, the optional heated seats are controlled by buttons on the dash, not through UConnect, so it can be done! 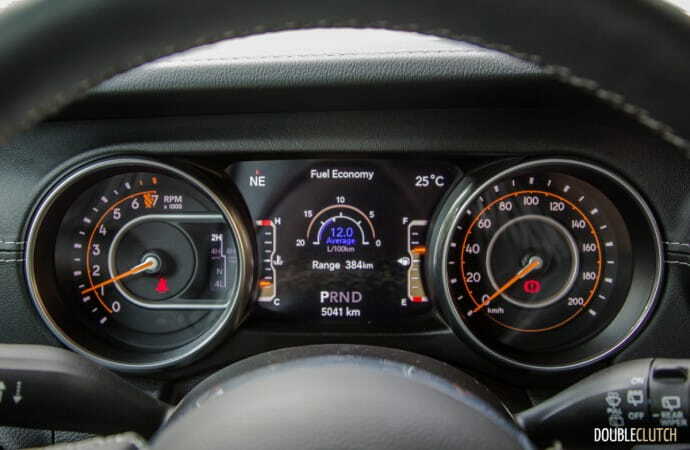 The gauge cluster has also been extensively re-worked and features traditional analogue gauges along-side a 7” LCD display that not only features some nice Jeep iconography, but can be configured to show driving stats from fuel economy to tire pressures, GPS directions and more. 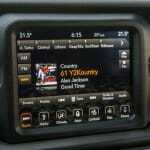 Beyond these improvements the entire dash layout now is clear, well lit and marked. 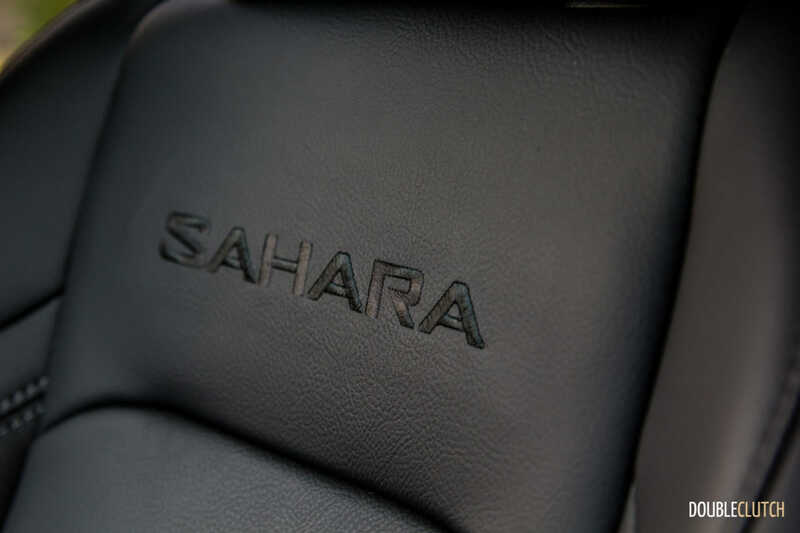 In fact, the Sahara’s dash even gets wrapped in a very nice soft-touch leather-like material complete with accent stitching. 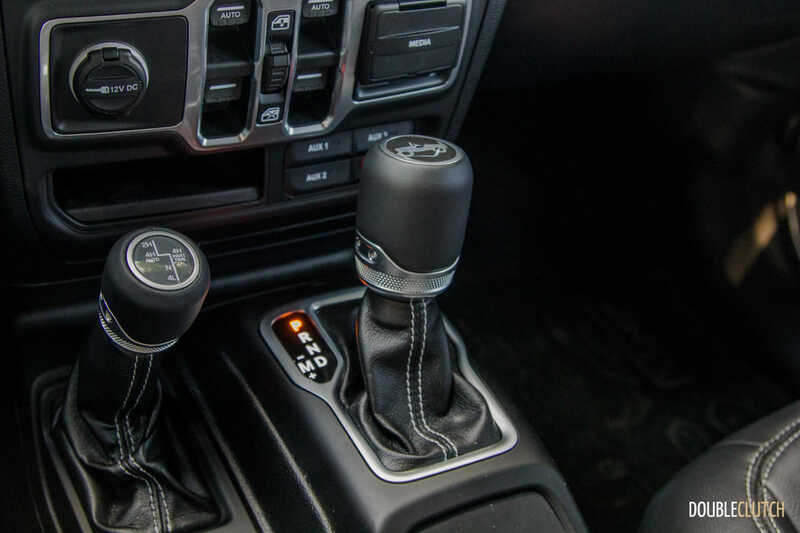 The new automatic shift lever and matching 4×4 transfer case control lever finished in billet aluminum and leather add a touch of class. 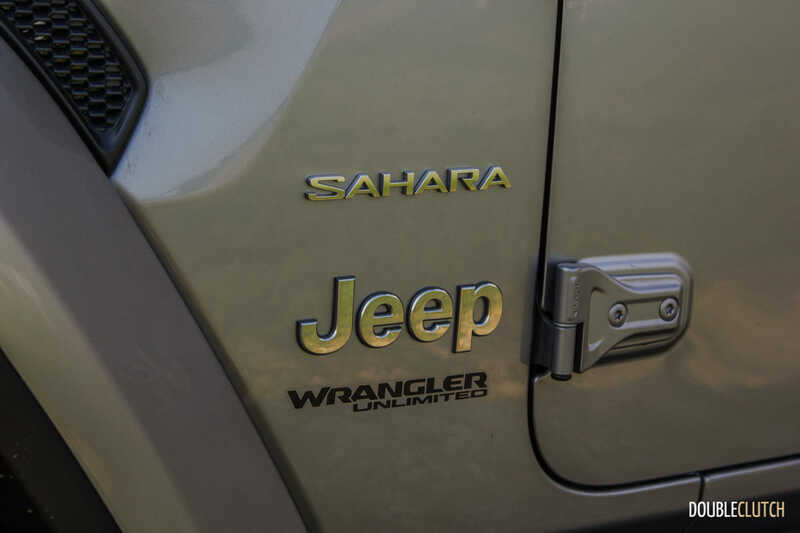 Our Sahara came with optional leather seats which are well done in quality leather; they are manual adjust only and to adjust the backrest angle you pull on a fabric grab handle – very Jeep. 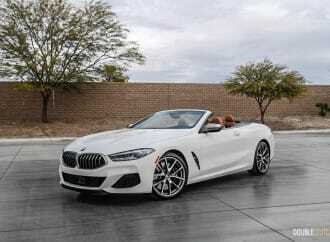 Interior space is comparable to the outgoing model with decent rear legroom, loads of headroom and a very useful flat floor cargo area. Lifting the cargo floor reveals some hidden storage compartments, too. Overall the interior feels much more refined, but thanks to its traditional styling, there’s no mistaking that you’re in anything but a Wrangler. 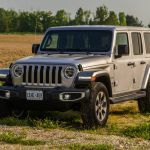 I was hopeful that the new Wrangler would be a lot more livable on the road than its predecessor and I was certainly not disappointed. 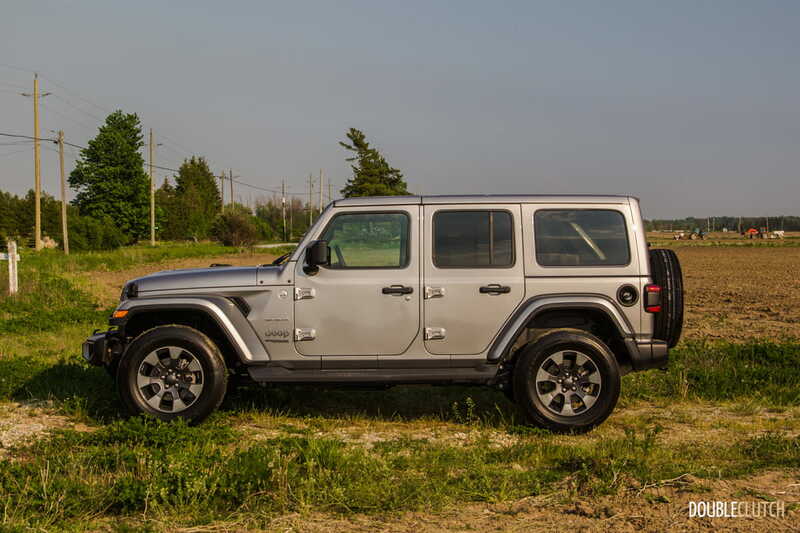 The Wrangler’s road manners have been improved dramatically in almost every respect, and I say almost because wind noise, even with the hardtop installed, is still an issue. 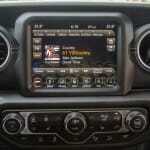 Beyond that though; the new Wrangler is downright civilized! 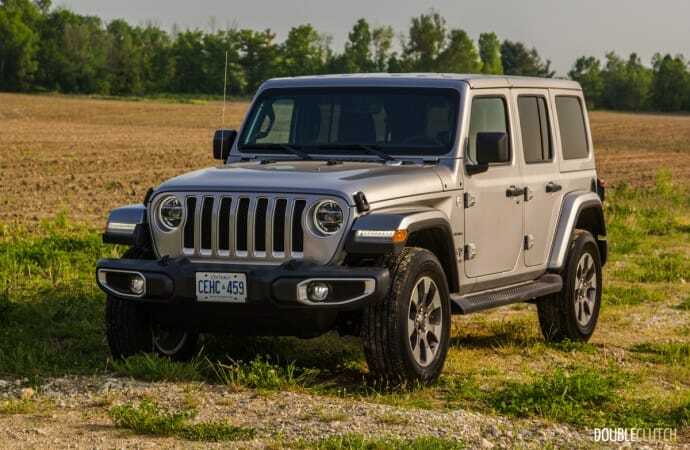 New for the JL is the 2.0L turbocharged four-cylinder good for 270 horsepower and a whopping 295 lb-ft. of torque at 3,000RPM. 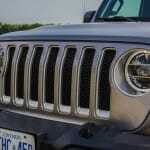 Our tester had the 3.6L Pentastar V6; an updated version of the V6 from the outgoing Wrangler (reviewed here). 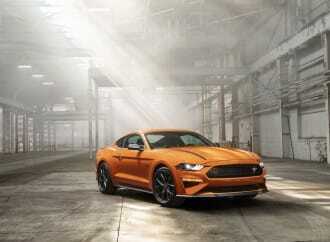 This motor is tried, tested and now good for 285 horsepower and 260 lb-ft. of torque. 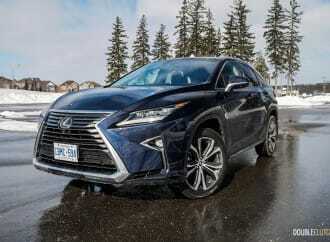 What it lacks in low-end torque, it makes up for in linear power delivery and when paired with the eight-speed automatic, it is a very versatile powertrain. 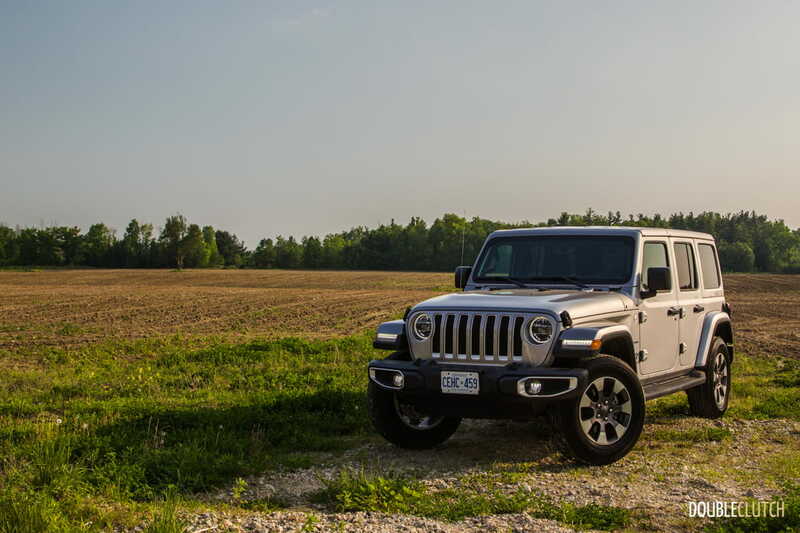 Unlike the outgoing Wrangler which always felt starved for more power, the new model, at least with the 3.6L, has plenty of muster and easily passes slower highway traffic without nearly as much fuss as I am used to in the older Wrangler. 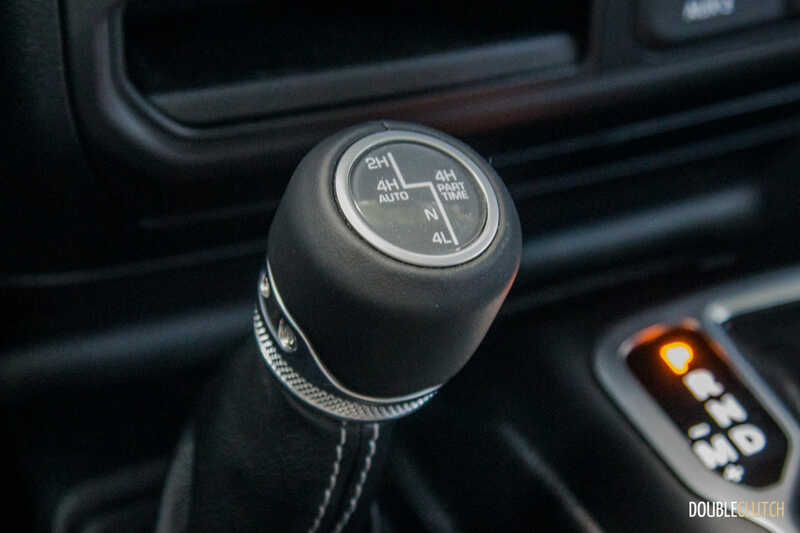 I credit much of that improvement to the eight-speed auto, which does an excellent job keeping the Jeep’s RPMs right where they need to be for a pleasant on-road cruising experience. 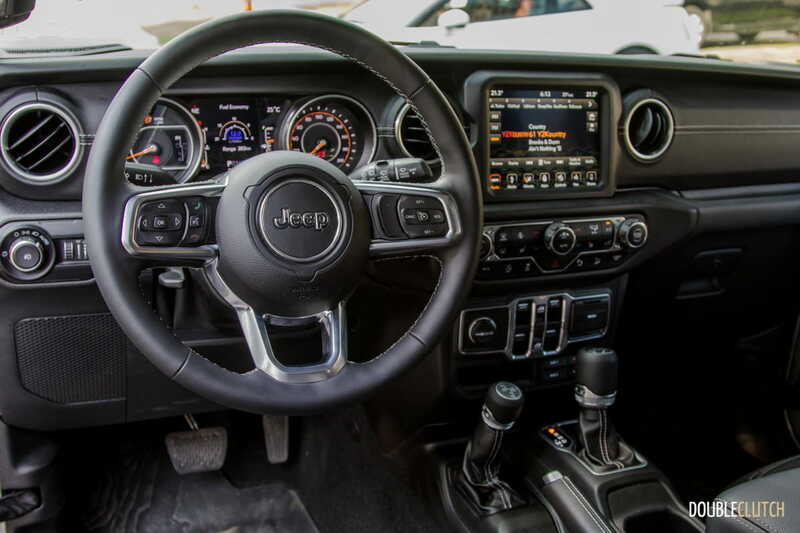 The ride and handling have also been improved dramatically; commuting in the new Wrangler is actually a very comfortable experience thanks to the well-controlled ride on city streets. 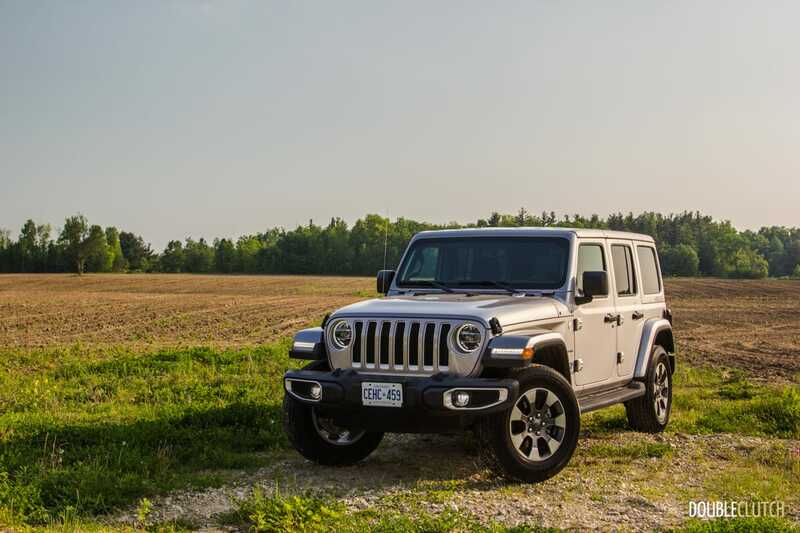 The steering is tight with an improved radius over the JK, and best of all it tracks perfectly straight with minimal steering input required to keep it tracking on the highway for a much more relaxing drive. Another tell-tale sign of the Wrangler’s progression is its fuel economy. 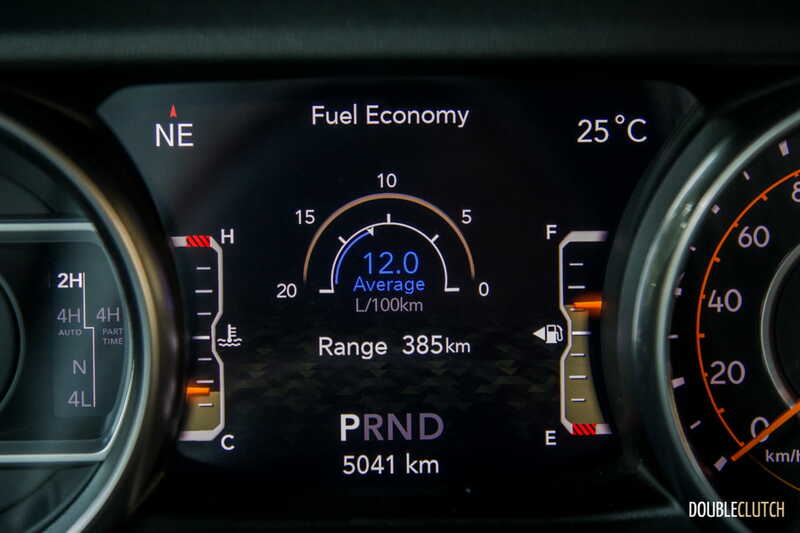 I was able to get the average down to 11.7L/100km, and saw highway numbers dip below the 9.5L/100km mark. 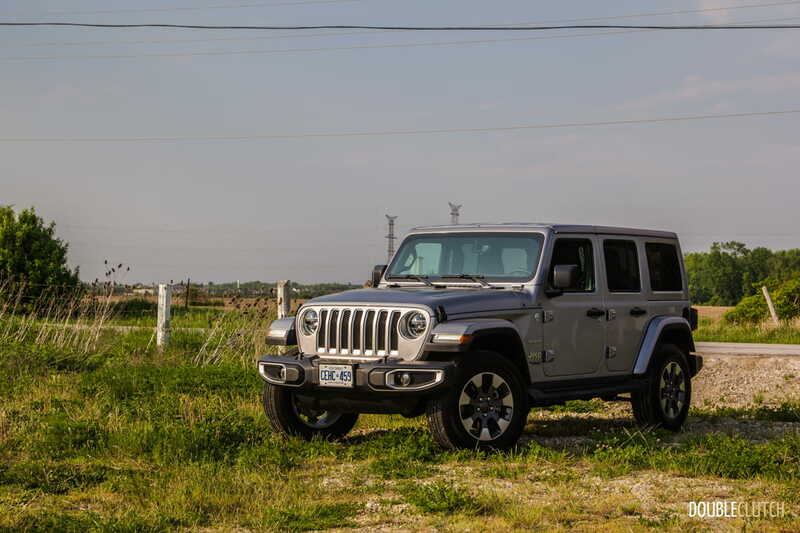 That’s right in line with a boring V6-powered crossover, and there you’d get none of the Wrangler’s charisma or off-road prowess. 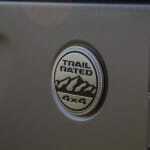 Speaking of which, aside from a bit of playing in the grass, we didn’t get to take the new Wrangler too far off-road. 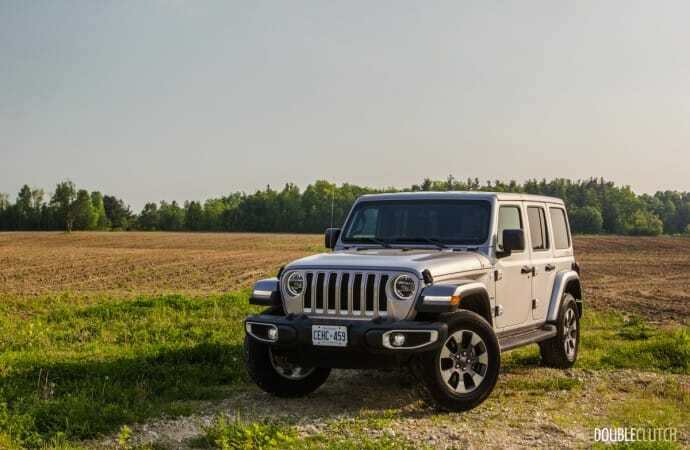 With the best-in-class approach and departure angles, ground clearance and available locking Dana axles, I have absolutely no doubt that the new Wrangler will not disappoint. 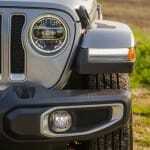 I’ve also already seen some of the new goodies available for the JL Wrangler in the aftermarket so I expect we’ll be seeing some wild off-road builds in no time. Now, all these improvements do come at a cost. 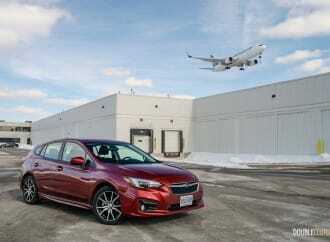 While you can get into a base Sport for an affordable $33,945, the price quickly climbs. 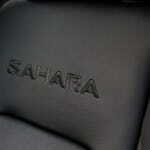 A base Sport S Unlimited (four-door) starts at $41,745, and a Sahara Unlimited like our tester starts at $45,745. 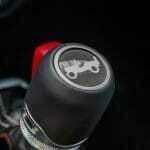 Expect to add another couple of thousand if you want to step-up to the Rubicon for its extra off-road gear. 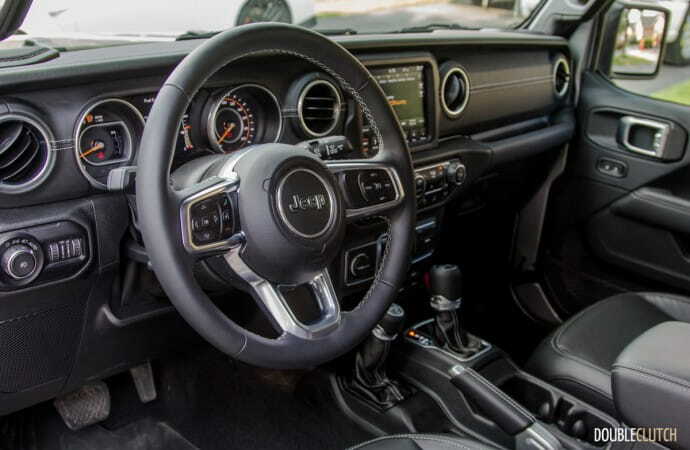 You may be surprised to hear that the as tested price of our Jeep came to $57,415, and that’s because our tester came with a long list of optional packages. If there is one silver lining here it’s that Wranglers hold value extremely well. 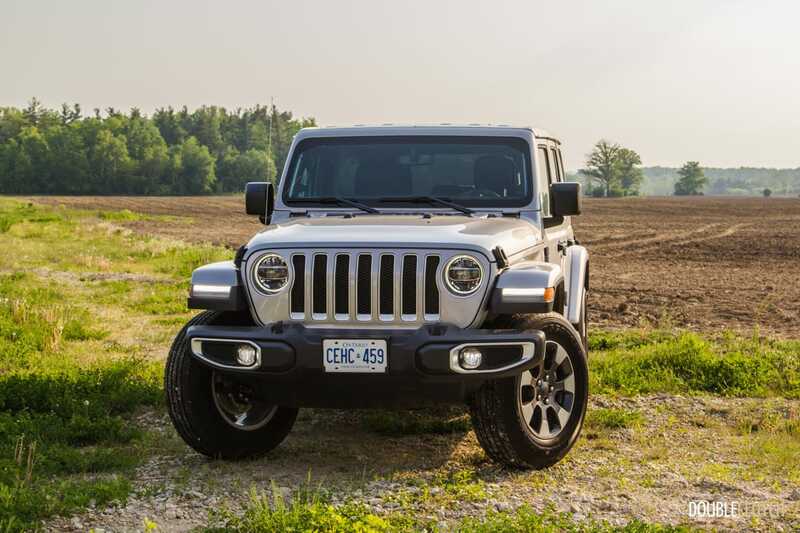 This latest iteration of the Wrangler is leaps and bounds ahead of its predecessor, and is now at a point where I’d consider it more than just an enthusiast vehicle, and a viable alternative for a young family. 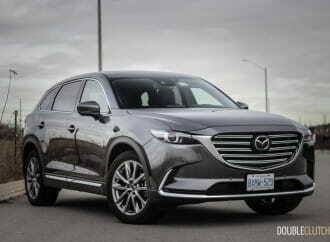 It’s reasonably comfortable and now very livable for the day-to-day grind, but offers so much more character and capability than anything else in that segment. 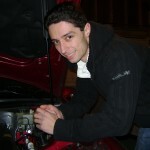 Plus, with a Jeep in the house there’s always something to do. 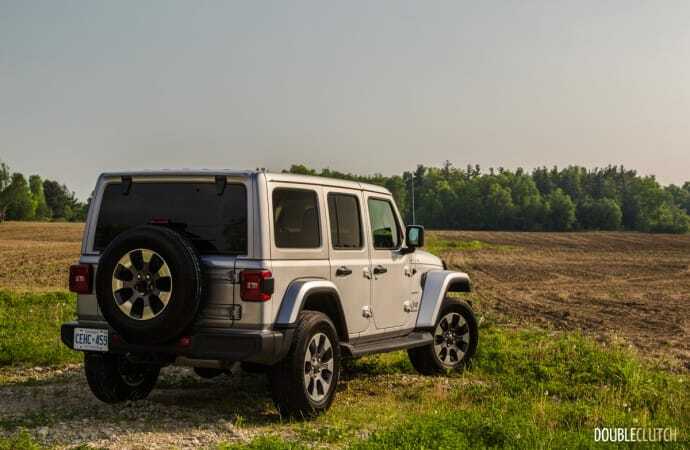 Whether it’s the next family adventure, a Jeep meet or event, or installing the next upgrade; the Wrangler is one of those vehicles that can actually become a part of the family.